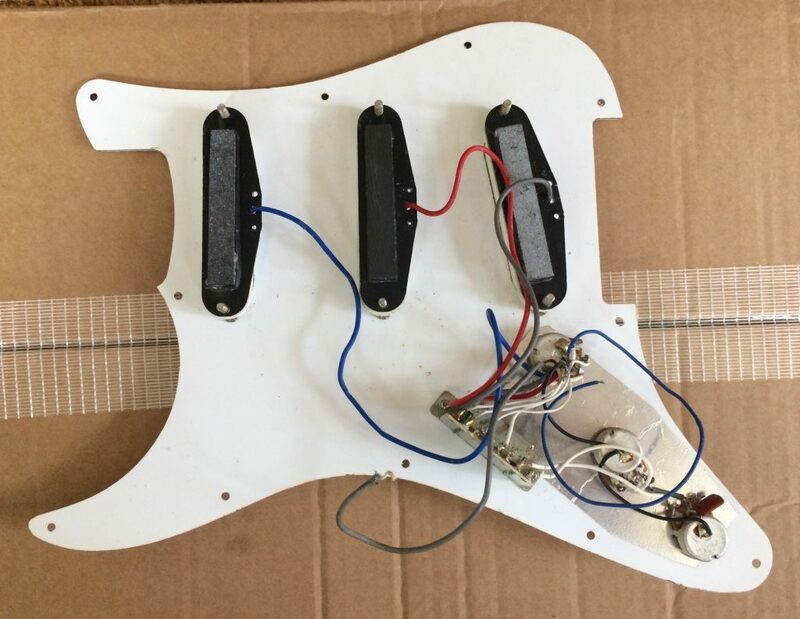 These were probably used to upgrade standard Fender Squier Pickups. The patina of the scratchplate is more 'creamy' in colour than the images show. 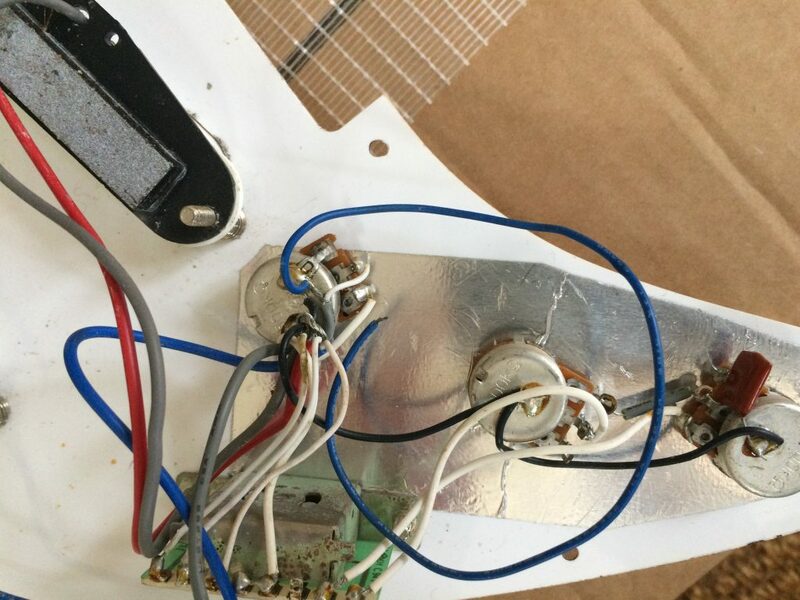 The scratchplate is a Stratocaster type and has a genuine aged vintage patina. 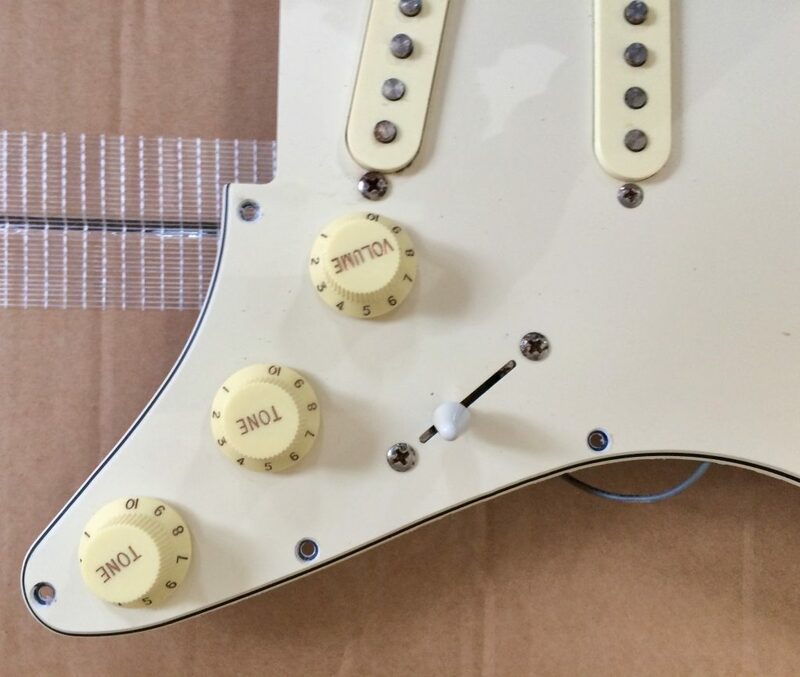 Knobs and switch tip included. Good condition, 11 hole, aged white, scratchplate. This 11 hole scratch plate was taken from a Squier based Partcaster guitar. 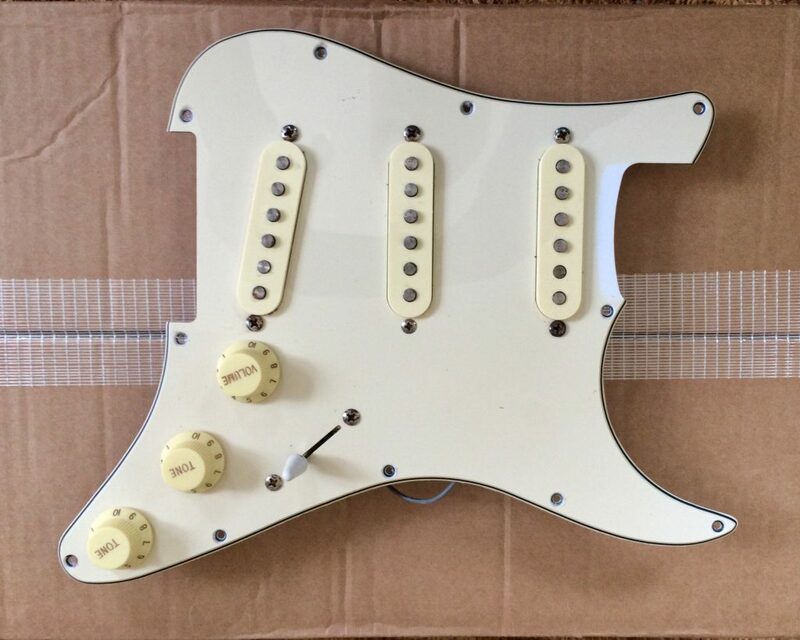 Complete loaded Stratocaster pickguard, aged pickguard with three single coil pickups, three control knobs and switch tip. 11 hole triple ply, naturally aged white scratch plate. More details on request Email: sales@guitarsalvage.co.uk or telephone (uk): 07596 533687 to make an offer.